In 2017 and 2018 the Cultural Heritage Agency of the Netherlands (RCE), Historic England and MSDS Marine undertook a high profile excavation on the Rooswijk protected wreck site. The Rooswijk was a Dutch East Indiaman (VOC) ship lost 279 years ago today 10th January 1740, on the Goodwin Sands. The wreck has been concealed beneath the waves, hidden to all but a small number of divers. Until now! 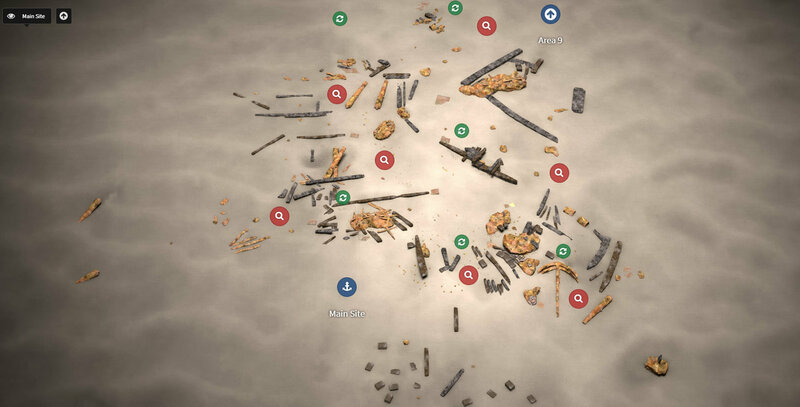 Historic England has commissioned several dive tours of wrecks in UK waters, and MSDS Marine has now created a virtual trail of the Rooswijk wreck site, working together with all #Rooswijk1740 project partners. 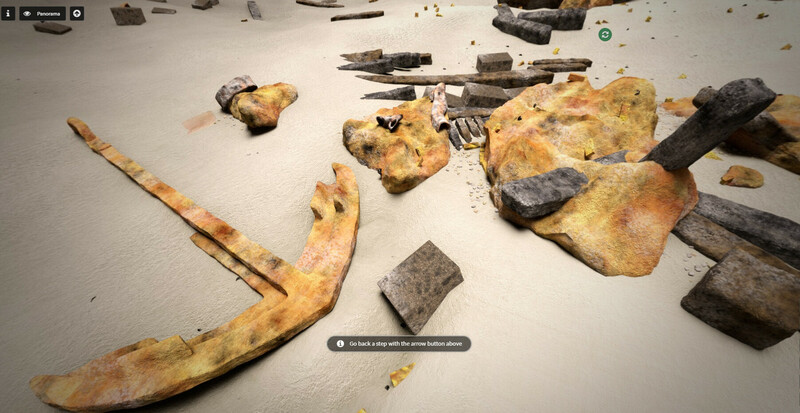 Now, divers and non-divers can explore this fascinating site. The Rooswijk wreck, as a Dutch vessel lost in English territorial waters, is owned by the Dutch government and managed by Historic England. Therefore, it is part of Europe’s shared maritime cultural heritage and to recognise this, the trail is the first from Historic England to be released in two languages, English and Dutch. The tour is also the first to take viewers through the archaeological process from discovery to post-excavation revealing. Archaeological conservators and specialists have provided video interviews talking about their work on material from the site and the secrets they can reveal once in the laboratory. Working with ArtasMedia and CyanSub, the trail was created using archival evidence, geophysical surveys, underwater photos and footage and cutting edge computer generated imagery. This evidence has been pieced together to bring the site to life and give the public a glimpse of what it is like to dive the wreck. 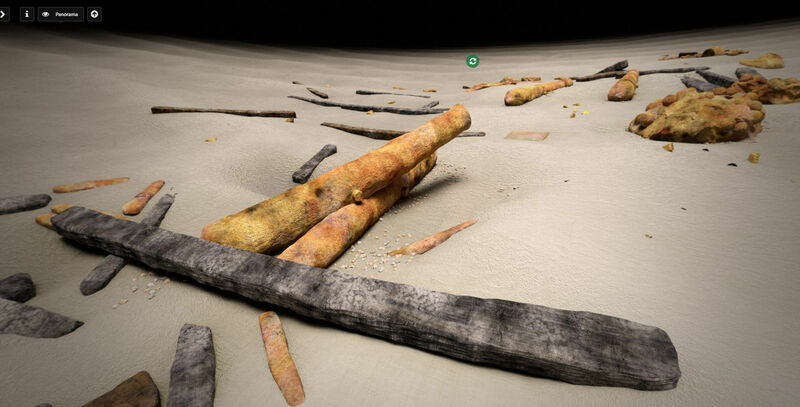 New archaeological finds have been made available in 3D and users can explore a model of the wreck showing where they were found.